"PixeZoom™" is a Plug-in for Adobe® Photoshop® CS3 that enables scaling image files opened in Adobe® Photoshop® with minimum image quality deterioration. You can save scaled images in formats of your choice. 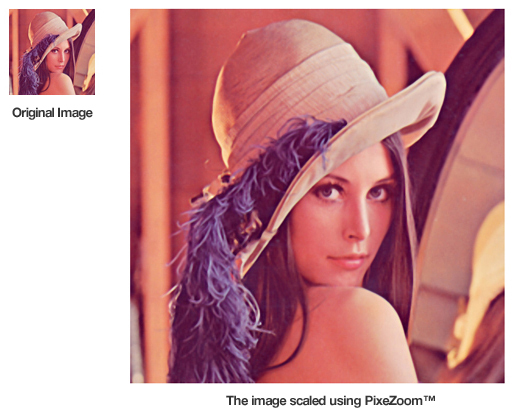 "PixeZoom™" is supported by both Mac and Windows. Choose the one for your OS. 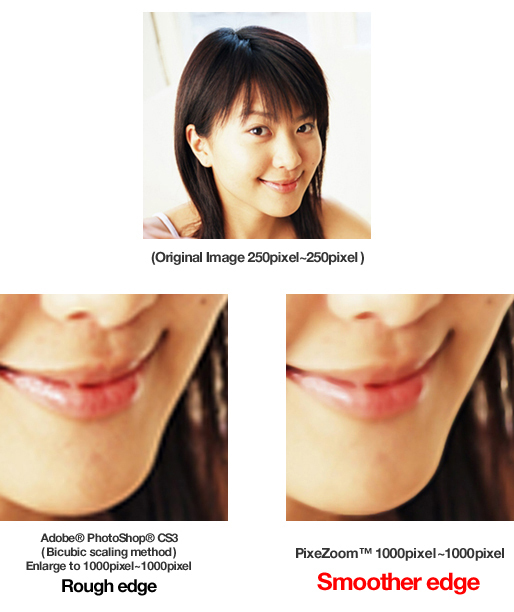 When magnifying an image with "PixeZoom™", complex computation and judgment is executed by magnification algorithms, and analyzed and interpolated scaled image is created as a new original data. Images can be saved in BMP, TIFF or JPEG format. 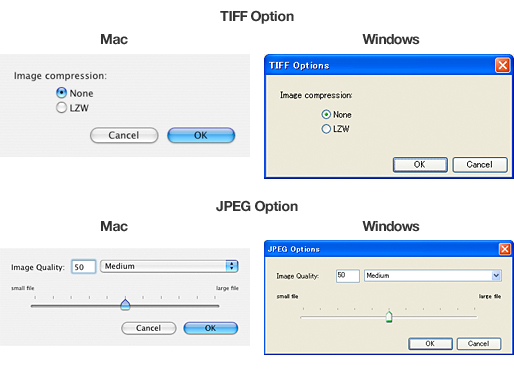 When saving in TIFF or JPEG format, respective option dialog is displayed. *1 The maximum settable image area saved with this Plug-in is 120000 pixels x 120000 pixels. * Adobe, Photoshop are trademarks of Adobe Systems Incorporated.